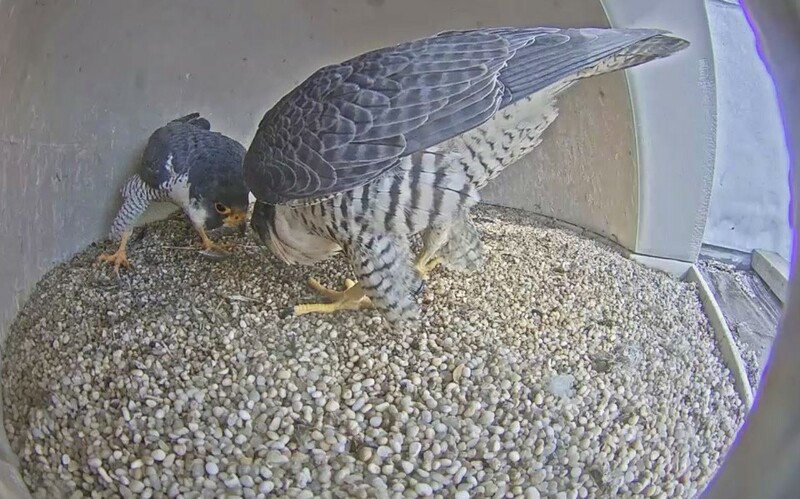 Union County, NJ – As the courtship season begins for peregrine falcons, the Union County Board of Chosen Freeholders encourages residents of all ages and visitors from all over the world to observe and study one of the fastest animals on earth by, tuning in to the Union County Falcon Cam. Photo caption: Union County’s free Falcon Cam livestream captures the view inside the nest of two peregrine falcons, on the roof of the County Courthouse Tower in midtown Elizabeth. This screenshot shows bonding behavior as the newly installed female (right) and the male get acquainted and prepare to start a family.